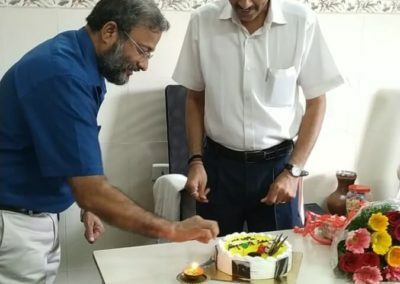 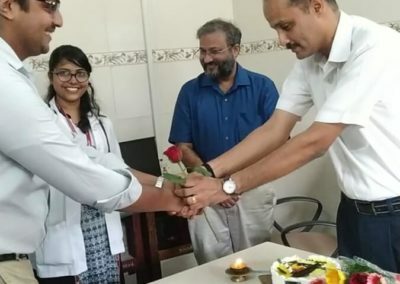 Dr. Niranjan Rao of SDM Ayurveda college Udyavara was given a suprise birthday celebration on Saturday 24th November by the staff and postgraduates of the department of Panchakarma. 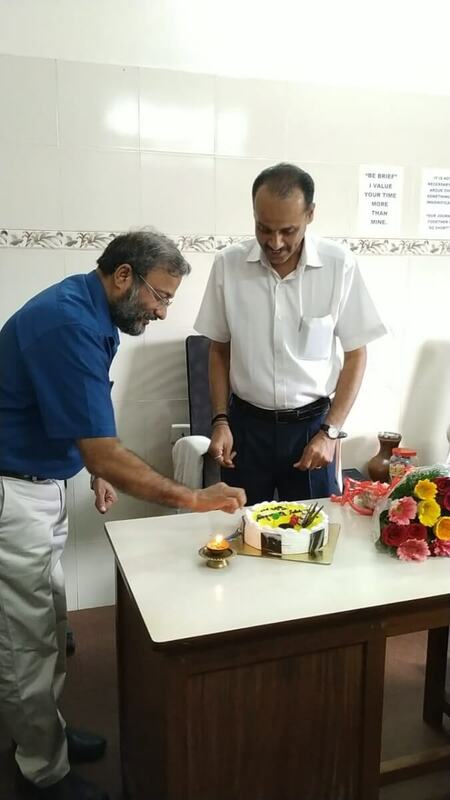 Dr. D Suresh Rao Director MIO participated in the celebration. 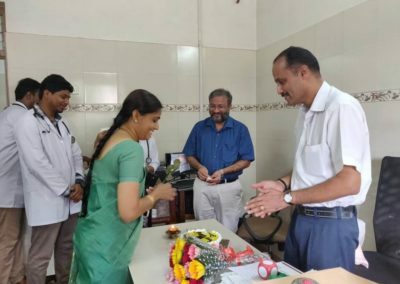 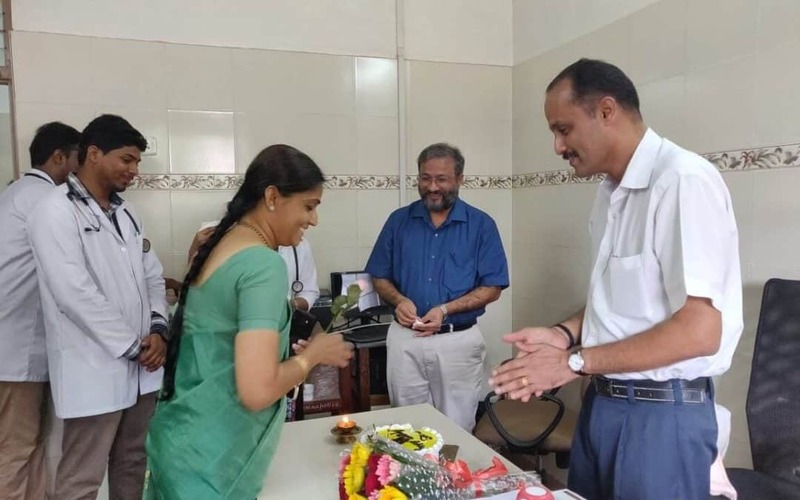 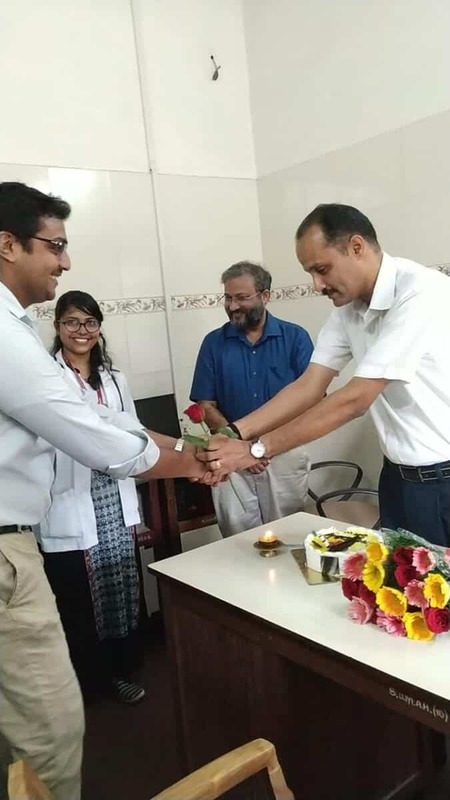 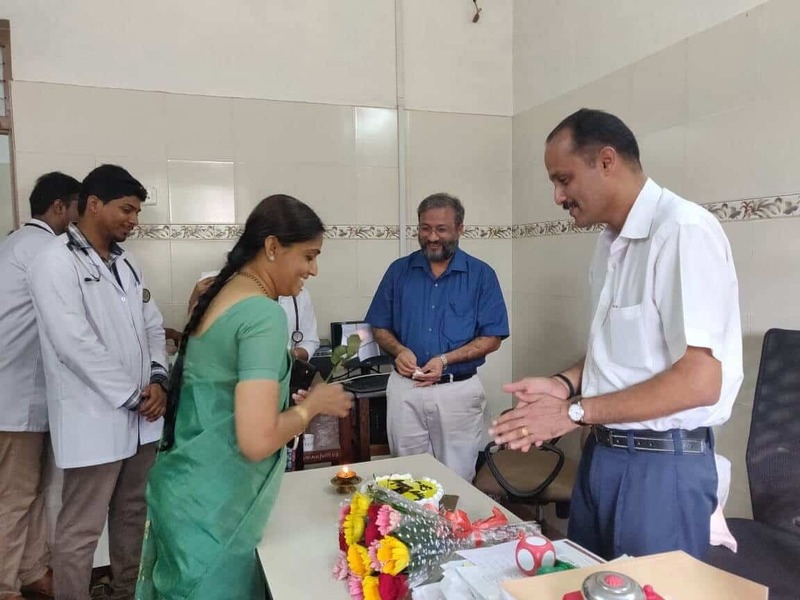 Dr. Mamatha Medical superintendent of SDM Ayurveda college, Udyavara presented a bouquet to Dr. Niranjan Rao on this occasion.